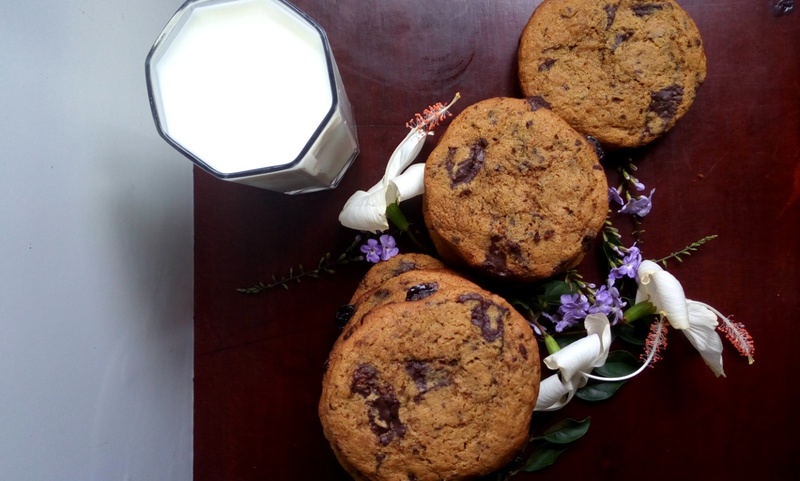 Wholemeal Chocolate Chip Cookies - Leo Tunapika? 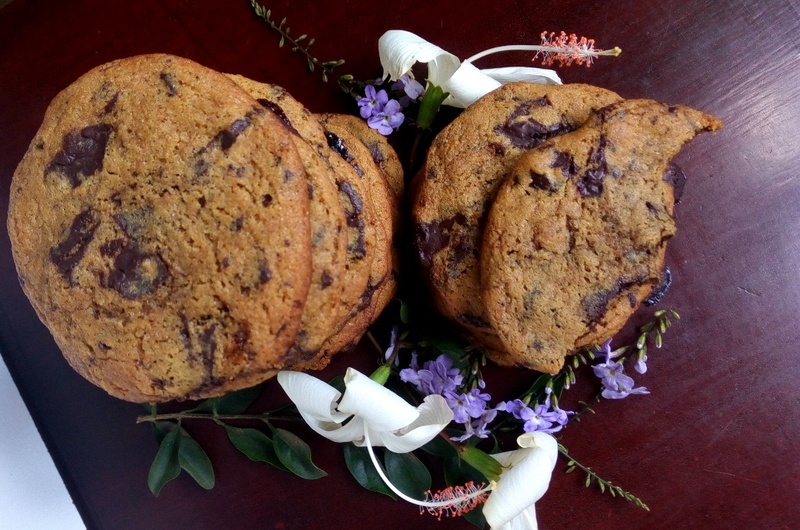 I’m a serious sweet tooth and a chocolate lover so what better way to indulge than to enjoy some chocolate chip cookies. I made them wholemeal to try make them a bit ‘healthier’. 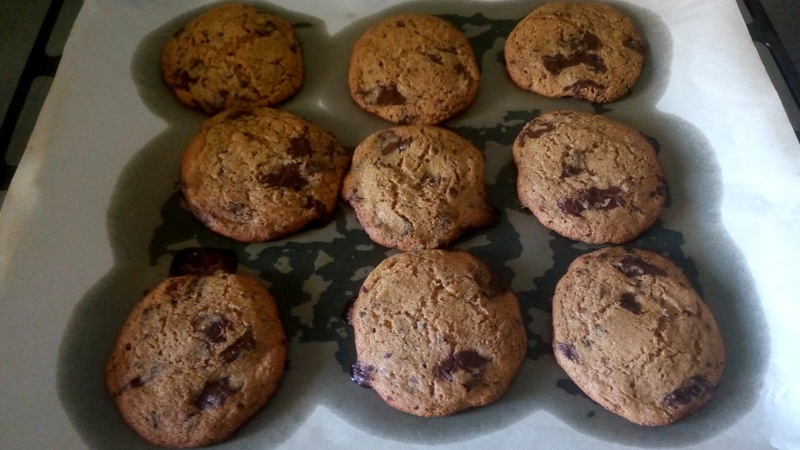 Cookies are great to have on hand and are pretty easy to make, all you need is a great recipe, good quality chocolate chips and you’re good to go. 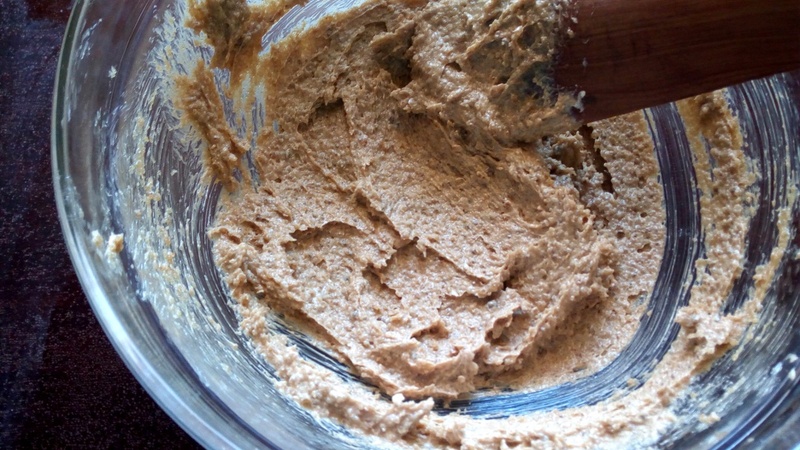 In a bowl, mix the wholemeal flour, baking soda and salt and set aside. 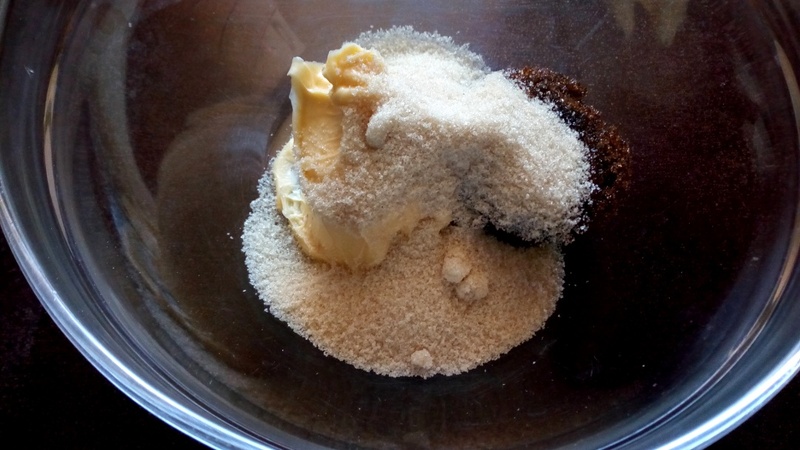 You don’t even need an electric mixer for this, just the good old wooden spoon and some elbow grease. Then add in the egg and vanilla essence and mix in. Add in the flour mixture. Just mix until incorporated don’t overmix unless you want a tough cookie 🙂 (pun not intended). Now the fun part, add in the chocolate chips. I didn’t have any chocolate chips on hand, so I just cut up a bar of compound chocolate that I had. I cut it into small cubes. Never be afraid to improvise. Fold them in, don’t overmix. Now to bake the cookies, line two baking sheets with some grease proof paper or grease lightly with some oil. 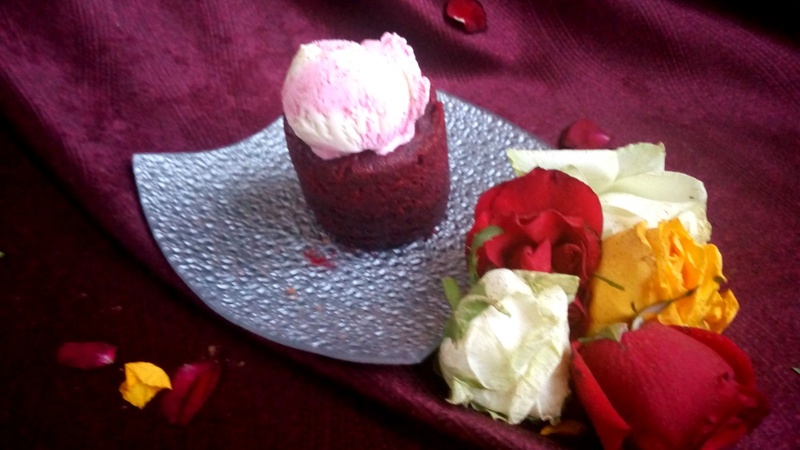 Then using an ice cream scoop or heaping a tablespoon, drop the dough onto the baking sheets. Arrange about 6 -9 per sheet depending on the size, be sure to spread them out. In a pre heated oven, bake for 9 to 10 minutes, until the edges and bottom are lightly browned. 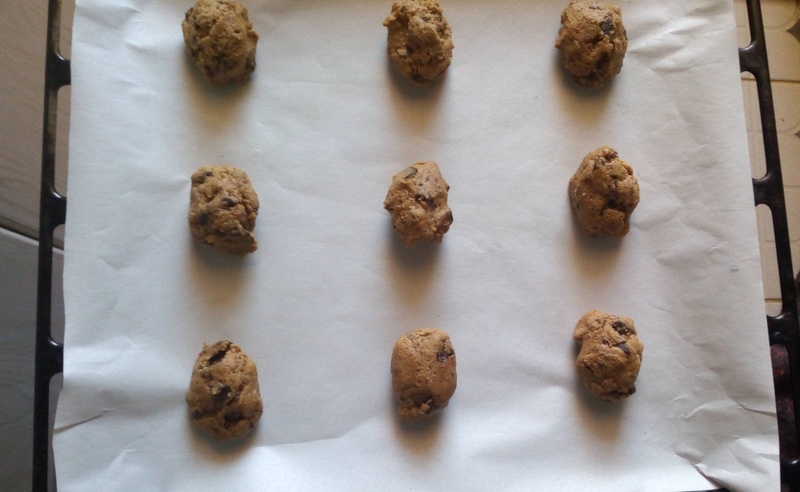 Let them cool in the tray for 5 minutes before transferring to a wire to cool off completely. 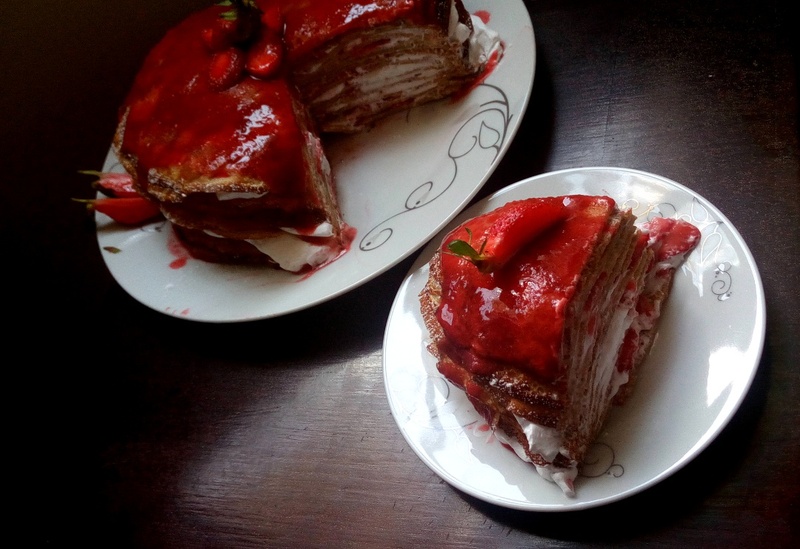 Enjoy with some milk or a scoop of ice cream. Be sure not to finish them all in one sitting. 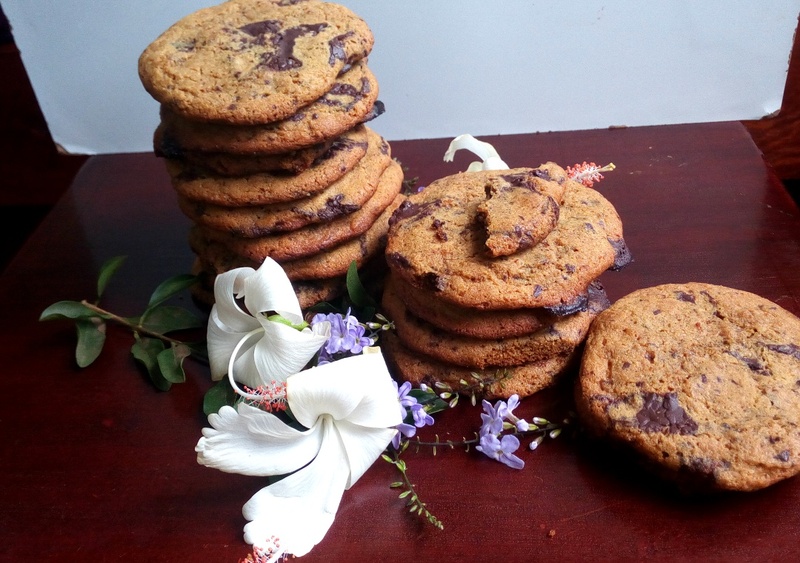 The cookies are soft and chewy at the centre and full of chocolate goodness. 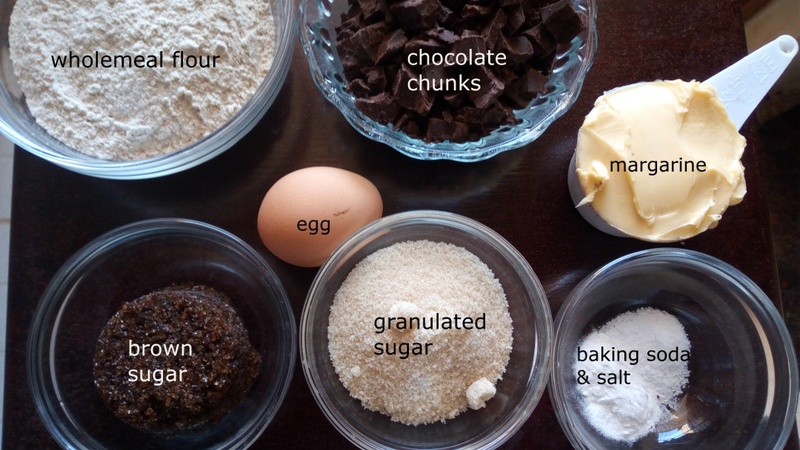 Recipe yields between 12 -18 cookies depending on size measured out before baking. Line two baking sheets with some grease proof paper or grease with some oil or non stick spray. 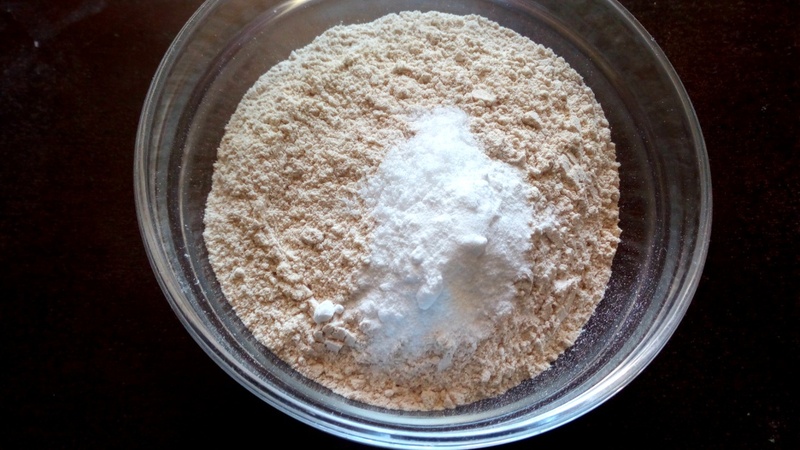 In a bowl combine the flour, baking soda and salt and set aside. 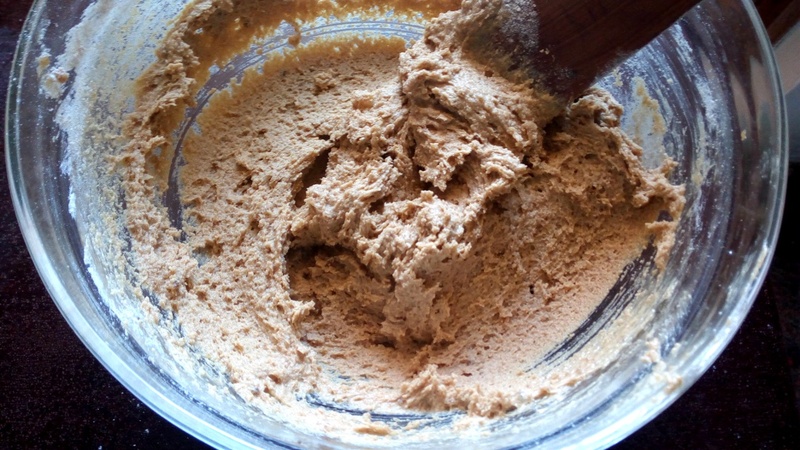 In another bowl, add margarine and both sugars using either an electric mixer or wooden spoon beat until smooth. 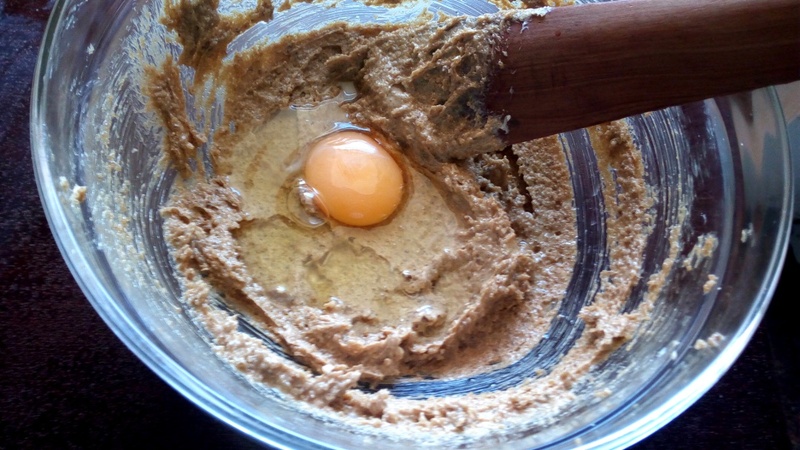 Add in the egg and vanilla essence and beat. 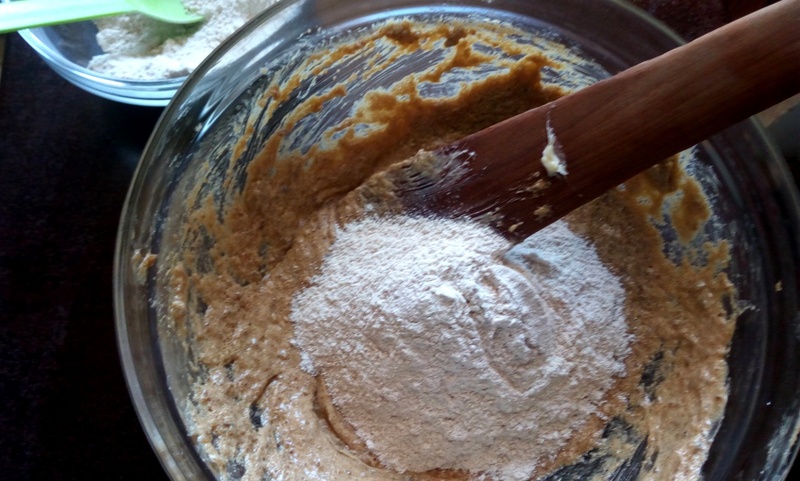 Gradually add in the flour mixture until incorporated, do no overmix. 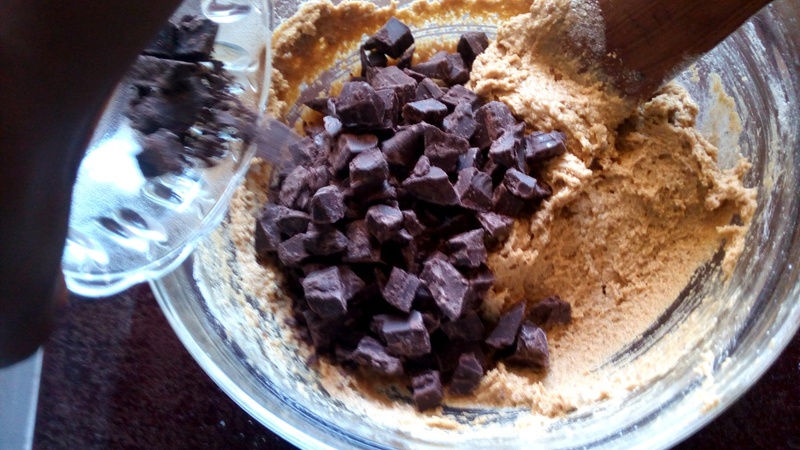 Fold in the chocolate chips being careful not to overmix. In case the dough is warm, you can chill it in the fridge for about 30 minutes. 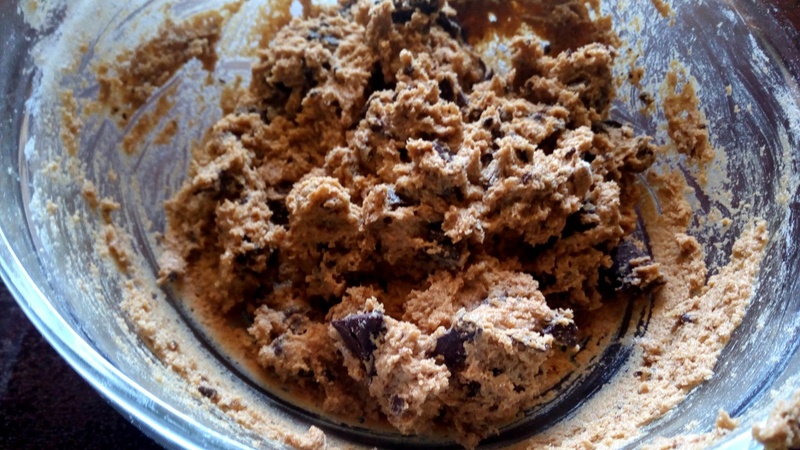 Using an ice cream scoop or heaping a tablespoon, drop the dough onto the baking sheets. About 6 - 9 per sheet, spacing them. Bake the cookies for about 9 - 10 minutes, until the bottom and the edges are lightly browned and the tops feel firm when lightly touched. 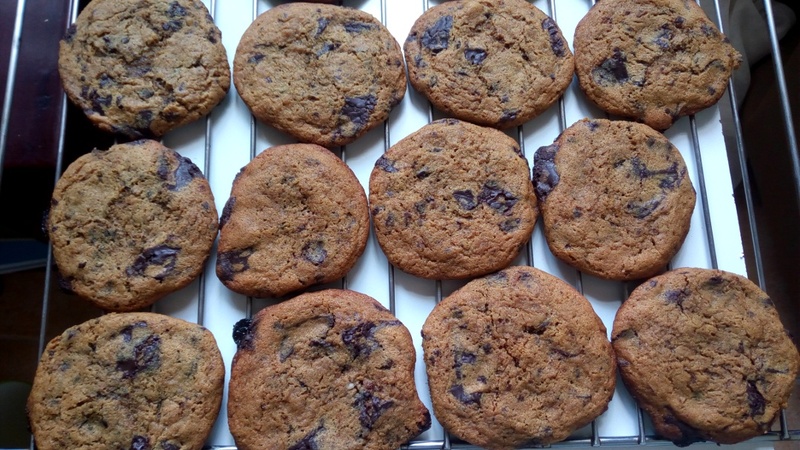 Let the cookies cool on the tray for 5 minutes before transferring to a wire rack to cool completely.